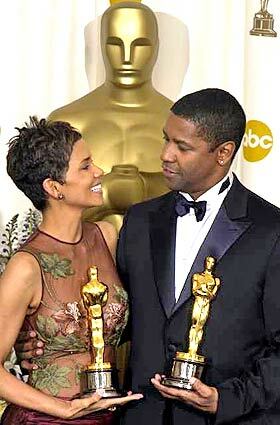 Halle Berry (born August 14, 1966) is an American actress, former fashion model, and beauty queen. Berry has received Emmy and Golden Globe awards for Introducing Dorothy Dandridge and an Academy Award for Best Actress in 2001 for her performance in Monster's Ball, becoming the first and, as of 2009, only woman of African American descent to have won the award for Best Actress. She is one of the highest-paid actresses in Hollywood and also a Revlon spokeswoman. She has also been involved in the production side of several of her films. Before becoming an actress, Berry entered several beauty contests, finishing runner-up in the Miss USA (1986), and winning the Miss USA World 1986 title. Her breakthrough feature film role was in the 1991 Jungle Fever. This led to roles in The Flintstones (1994), Bulworth (1998), X-Men (2000) and its sequels, and as Bond Girl Jinx in Die Another Day (2002). 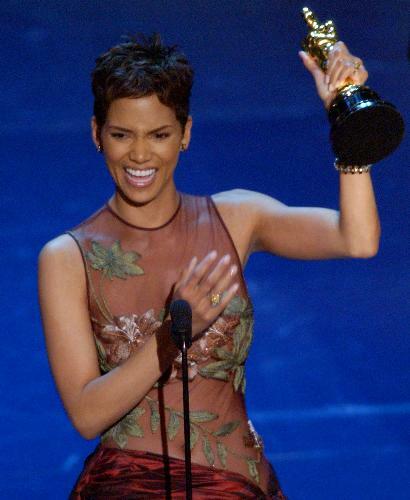 She also won a worst actress Razzie Award in 2005 for Catwoman and accepted the award in person. Divorced from baseball player David Justice and musician Eric Benét, Berry has been dating French-Canadian model Gabriel Aubry since November 2005. Their first child, a girl named Nahla Ariela Aubry, was born on March 16, 2008. Halle Berry made the mistake of tattooing the name of her first husband onto her right buttock. She has had the tattoo re-inked, changing David Justice's name into a sunflower. She told the UK edition of Cosmopolitan magazine, "I chose a sunflower because when darkness descends they close up to regenerate. But I really wish I'd never had the tattoo in the first place. Clean, clear skin is always better." Want to find out what some of Halle Berry's tattoo designs & symbols mean?